It has been known now for almost a hundred years that the best way of extending the life of animals is to limit the amount of calories that they eat. It is a quite robust observation, and it works for different types of animals, including worms, flies and rodents. 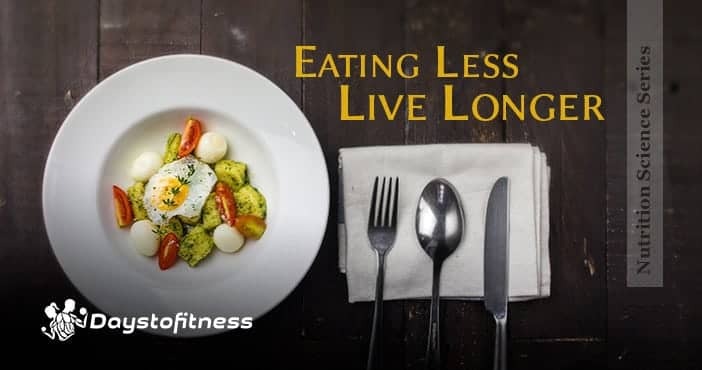 Although it is not clear if calorie restriction also extends lifespan in humans – it is difficult to control what someone eats throughout his life! – what seems beyond doubt is that eating less is beneficial for our health. The places of the world that have the highest proportion of people living over a hundred years, such as Sardinia (Italy) and Okinawa (Japan), are also those with the best eating habits: they eat fewer calories, have balanced diets and avoid processed foods (see ‘Five processed foods to avoid and their alternatives‘). Importantly, diet is just part of the trick: people that make it to a hundred also practice moderate physical exercise and keep strong social bounds with their communities (if you need an extra push to start working out, read our ‘7 Fitness Motivation Tips‘). There are some straightforward interpretations on why eating less can be good for our health. One of them, is that avoiding obesity dramatically reduces risk of suffering from many life-threatening conditions, such as cancer, diabetes, stroke and cardiovascular disease. But research suggests that caloric restriction can be good per se, provided that the diet is balanced and calories are not cut below a certain threshold – remember: calorie restriction does not mean malnutrition! It is believed that when we eat less, our bodies engage in what is sometimes called ‘metabolic reprogramming”. Although the concept is a bit blurry, different research suggests that metabolic reprogramming involves things such as using fats over carbs, decreasing the production of damaging reactive oxygen species and increasing the amount and efficiency of mitochondria – cellular compartments where the conversion of nutrients into energy takes place (take a look at ‘5 Antioxidant Superfoods‘ to learn more about reactive oxygen species). Calorie restriction has been tested against a slew of diseases in laboratory animals, and it has shown beneficial effects in almost every setting. Eating less also seems to be good not only to lose weight, but also to keep the brain sharp: rodents on a calorie restriction diet are protected against conditions such as Alzheimer’s and Parkinson’s diseases. But if eating fewer calories and balanced diets is good, the opposite is also true. 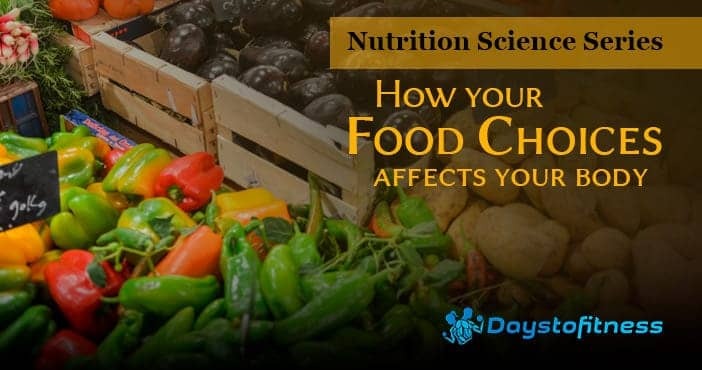 A worrying trend that is taking place all over the world is that people are replacing their traditional meals with processed foods, rich in fats, sugars and animal-sourced food. This is being paralleled everywhere with a rise in obesity and all its associated morbid conditions. So remember, keep your calories low (but not too low!) but through a balanced diet, stay away from processed foods and cut the added sugars. Spice that up with a bit of exercise and you might make it to a hundred!